A firewall is a hardware or software program that acts as the first line of defense, screening out threats from incoming and outgoing traffic on your network such as hackers or malware that try to sneak into your computer via the Internet. Such threats try to use viruses and keylogging software to access your computer and steal private and sensitive data such as browsing history, passwords, and other details by recording your sessions and tracking your keystrokes. They also use this to run illegal activities without your knowledge. Through an internet connection or Wi-Fi network, cybercriminals find entry to your computer, but firewalls block unauthorized connections such as these and let you choose which programs can access the internet. If you have multiple computers or devices connected in your home or office network, protect them with a hardware firewall for your router to protect your network and a software firewall that prevents the spread of malware in the event one of your computers is infected. Installing one of these antivirus solutions for IoT is also a good idea. Antivirus with firewall exists to protect your network and computers from such infections that come via the internet, so here are the top choices you can use on your personal computer. When selecting an antivirus with firewall, get one that lets you have full and effective control over which apps can make internet connections, won’t leak data when leak tested, will protect against exploits and bad packets, but also defends your system’s processes, services and components from malware. BullGuard’s powerful firewall is a component of BullGuard Internet Security, which has stronger multi-layered protection that safeguards your family and devices from all malware types. It prompts you when a program tries to establish an outgoing connection so you can easily accept or reject it. A firewall helps you manage network controls while protecting from intruders, exploits, bad packets and port scanning. BullGuard Internet Security is powerful enough to do not only this, but also provide protection against malware, spam, and spyware. Bitdefender’s Total Security and Internet Security have a firewall that adds an extra layer of protection, by blocking potential malware applications that want to connect to the internet. While this protection is activated, your personal information is safe from hackers and other data snoops. This new firewall has been completely redesigned to improve usability and allow for better management of application rules. Bitdefender antivirus protects your computer fully against privacy invasion, ransomware and all other threats from a single account. It also keeps your whole family safe with full protection for all your devices, plus protection from e-threats, advanced parental controls, better privacy with webcam protection, and you can shop or bank online worry-free. It is packed with powerful security features, easy to use, light on resources, and offers optimized performance for better speed and battery life, besides delivering advanced automatic protection. Many firewalls and antivirus can interfere with Windows Firewall and trigger some annoying errors or make your computer slow. Emsisoft has merged two of its main security solutions and solved this issue through Windows Firewall Fortify feature included in the recent version of Emsisoft Anti-Malware. 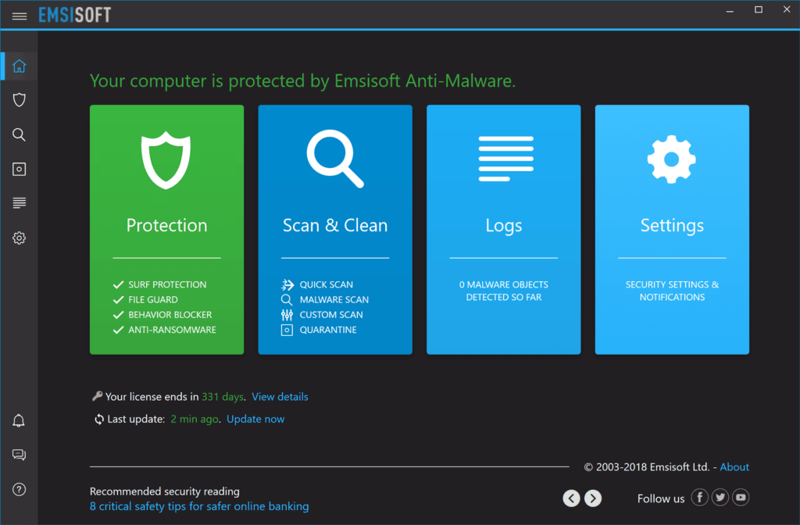 Emsisoft has a strong key feature that allows it to detect and intercept malicious actions from malware programs in real time before your computer can be damaged. That is called the Behavior Blocker. Through this technology, the anti-malware is capable of defining behavior patterns which reveal illegitimate manipulations of Windows Firewall settings. 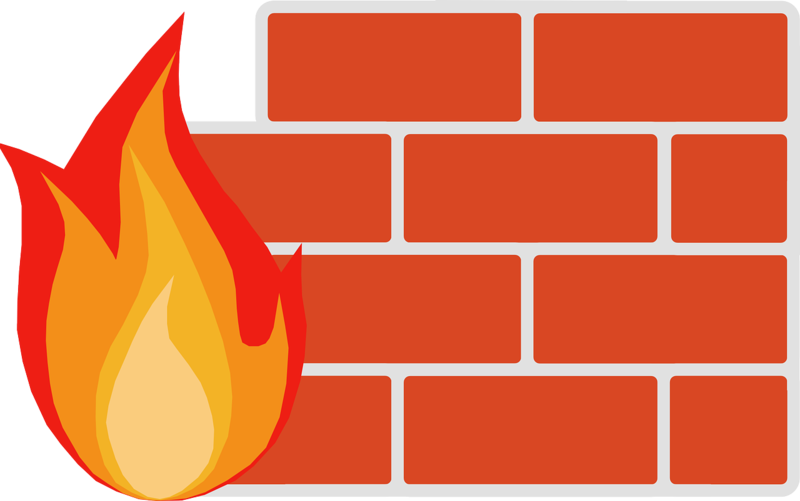 Emsisoft’s developers have removed the redundancy of building more firewall code that could interfere with the Windows Firewall. 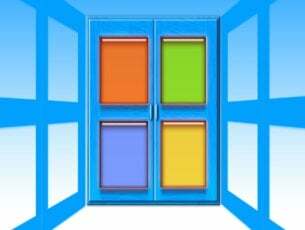 Thus, the former Emsisoft Internet Security merged with Emsisoft Anti-Malware and received the Windows Firewall fortifying enhancements. Besides becoming 20% cheaper than the Internet Security version, Emsisoft Anti-malware (EAM) has improved its protection capabilities due to less interference with firewall code. Improved File Guard performance, changed default scan level. Panda’s firewall protection comes as a filter that protects your PC and prevents unauthorized entry of intruders, providing an effective means for safe navigation on the internet. The firewall filters connections in and out of the computer when connected to the internet, and intervenes in established connections between your computer and others in the network which you exchange files and share folders and printers, among other tasks. Firewall protection automatically assigns permissions to applications when possible, while assessing the risks posed by the apps and the type of communication the apps want to establish. In some cases, exceptionally, when the app or user tries to connect, the firewall will request permission to authorize the connection via a popup message. Panda’s firewall carries out a series of filters including static filtering at network level based on admin-defined rules, dynamic filter at application level with stateful inspection and deep packet inspection. Admins can also configure traffic filtering for different protocols based on a timetable or calendar, and allow or deny access to some network services during configured intervals. Kaspersky’s Total Security provides protection against ransomware for all apps and devices plus websites visited, to ensure hackers and attackers are locked out. You can shop, surf, socialize and stream safely knowing your passwords, files, photos, and privacy are guarded. You can also shop or bank online. 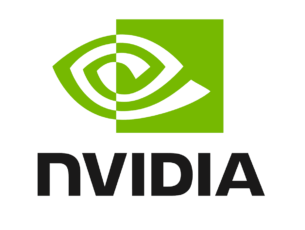 This antivirus features the firewall component that ensures you security on local networks and the internet while monitoring all network connections on your computer. The firewall assigns a specific status to each connection and applies packet and network rules to filter network activity depending on that status. Norton’s Personal Firewall is no longer sold separately as previously done, so you can only install it as part of either Norton Internet Security or Norton 360, which are Symantec’s award-winning, all-in-one protection for your PC, with performance tuning and data backup. The powerful two-way firewall protection lets you regain control over inbound or outbound traffic from the internet, protecting against hackers, and keeping your personal and sensitive data away from the internet (without your consent). Symantec’s firewall software provides protection each time you’re online, so you can surf with peace of mind. You can configure it any way you want so as to allow only some apps to access the internet, block certain IP addresses, and so much more. This antivirus with firewall turns your PC into a fortress to stop hackers and malware from accessing your computer via internet and Wi-Fi. You can block unwanted access with firewall protection using Avast Premier and Internet Security, both of which come with firewall (which is on by default) giving you complete control over online traffic to and from your computer. In order to tweak the firewall settings, open Avast, click protection, then go to the firewall icon and open it, then customize your firewall from the series of options. With ZoneAlarm’s Extreme Security 2018, you are 100 percent guaranteed from viruses and protected from threats such as WannaCry and all zero-day attacks, identity theft with advanced antiphishing protection, plus parental controls, PC tune-up, and online backup, among other features. The two-way firewall stops internet attacks at the front door, catching thieves on their way out, while proactively protecting against inbound and outbound attacks and making you invisible to hackers using the full Stealth Mode. 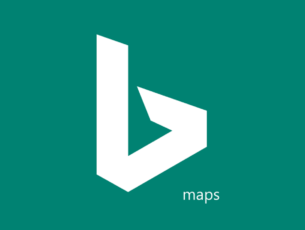 It monitors and blocks threat traffic and its Kill Controls instantly disable malware. The advanced firewall monitors behaviors in your computer to spot and stop even the most sophisticated new attacks that bypass traditional antivirus and security suites. The OSFirewall monitors programs for suspicious behavior, while advanced-access protection targets and defeats new and advanced attacks that other firewalls miss like raw data access, timing, and SCM/COM attacks. Zero-hour protection prevents silent outbreaks gaining system access, and the Application Control and Early Boot Protection shield your operating system during startup before most security products even load. Another antivirus that has a built-in firewall is Webroot Antivirus. The application is available on both PC and Mac, and it offers always-on security for your data and identity. 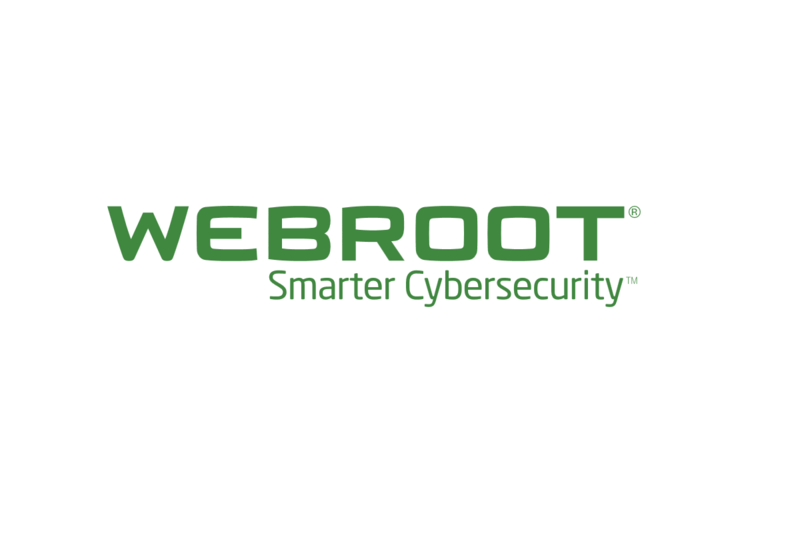 In addition to standard protection, Webroot Antivirus has ransomware protection as well as real-time phishing protection that will protect you from malicious websites that are trying to steal your personal data. As for additional features, there’s a built-in firewall so you can easily monitor your network traffic and control which applications have access to the Internet. In terms of speed, Webroot Antivirus offers incredibly fast scanning speed, so it shouldn’t slow down your PC or interfere with your work at all. There’s also Internet Security Plus version available, and this version can also protect your smartphone or tablet, and thanks to the built-in password manager, it will keep your sensitive information secure from the malicious users. Lastly, there’s Internet Security Complete version. This version has the same features as the previous two versions, but it can also remove the traces of your online activity in order to protect your privacy. It’s worth mentioning that this version also comes with 25GB of online storage that you can use. Webroot Antivirus is a simple but powerful application, and it offers solid protection along with lightning-fast scanning speed and a built-in firewall. If you’re looking for a new antivirus to secure your system, Webroot Antivirus might be the right choice for you. Let us know in the comments section, which of these antivirus with firewall you’ll use in the New Year.